Coconut oil is derived from the milk in coconuts and consists of coconut fat and lauric acid, a fatty acid that is transformed into monolaurin in the body. Monolaurin is an antiviral, antibacterial substance that can destroy lipid-coated viruses that cause herpes outbreaks. You can consume coconut oil and apply it topically to your skin to treat herpes. Take 3 to 4 tbsp. of coconut oil daily to enjoy the product's benefits, according to NaturoDoc.com. Coconut oil capsules, while available in many drug and supplement stores, are often sold at high prices for small doses that will be inconsequential to your health. A better option is purchasing bulk, unrefined coconut oil and taking it straight--a tablespoon or two with every meal is advised by TreeLight.com--or by using it as a cooking ingredient. Replace butter, margarine and cooking oils with coconut oil when cooking. Most coconut oil has a mild flavor that will only mildly influence the taste of your food, if at all. Dab coconut oil onto your herpes once daily. Coconut oil can be thick and sticky, so some people prefer to apply the oil before bed. Use moisturizing lotions or other topical creams containing coconut oil once or twice daily. The amount of coconut oil present in these skin treatments is marginal, but it can help control your herpes. Continue applying topical applications until your herpes disappear. Use skin lotions and consume coconut oil after the herpes have disappeared as a preventative measure to avoid a future outbreak. According to Treelight.com, consumption of coconut oil is more effective at treating skin problems than topical applications since digestion allows for the coconut oil's ingredients to be released into the body throughout the day. However, combining oral consumption with topical application will help attack your herpes from all angles. 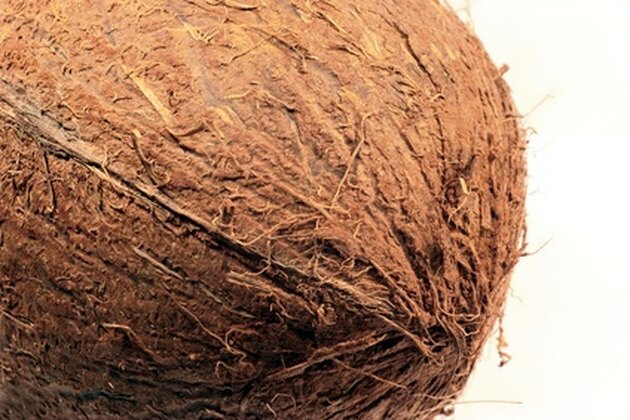 Coconut oil can raise blood pressure. If you have high blood pressure, talk to your doctor before taking coconut oil. Using coconut oil to treat herpes has not been endorsed by the American Medical Association or the American Academy of Dermatology.